Sept. 29 (UPI) — State leaders in Minnesota heard from both sides of the debate over a multibillion dollar effort by Enbridge to expand a controversial crude oil pipeline. The PUC held public hearings Thursday in St. Paul, one of more than a dozen scheduled through the end of October for the vetting of the planned overhaul of the Enbridge pipeline system. Enbridge said it needs to make improvements on its Line 3 system that runs from Canada through Minnesota. The proposal includes a $4.2 billion Canadian component and a $2.9 billion U.S. component. Enbridge said replacements and upgrades to the system are the most efficient way to ensure the infrastructure is reliable. Enbridge added that state environmental reviews found the overhaul would be better than keeping the existing network in service. “If built, this pipeline would threaten Minnesota’s precious lands, water, climate, and Indigenous treaty-protected rights,” Margaret Levin, state director for the Sierra Club, said in a statement. Minnesota Gov. Mark Dayton said he was waiting until the entire review process was completed, adding the utilities commission was independent of his administration. The commission is expected to make a decision on the project by early 2018. 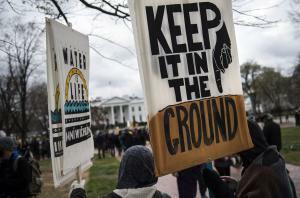 Enbridge last year backed out of its planned Sandpiper pipeline through Minnesota and instead put resources behind the Dakota Access pipeline.